What’s the difference between Dutch-process and natural cocoa powder? Dutch-process cocoa powder is made from cocoa (cacao) beans that have been washed with a potassium solution, to neutralize their acidity. Natural cocoa powder is made from cocoa beans that are simply roasted, then pulverized into a fine powder. 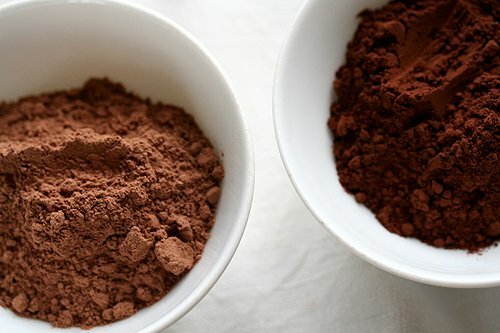 Aside from neutralizing the acidity, Dutching cocoa powder makes it darker (see photo below, right) and can help mellow the flavor of the beans. Some artisan companies in the United States don’t Dutch-process their cocoa as they claim their cocoa beans don’t need to be acid-neutralized. Most supermarket brands of cocoa powder in America, such as Hershey’s and Nestlé, are natural cocoa powders. 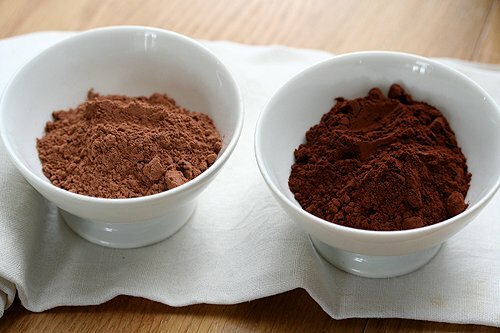 Can I use Dutch-process and natural cocoa powder interchangeably in recipes? Because natural cocoa powder hasn’t had its acidity tempered, it’s generally paired with baking soda (which is alkali) in recipes. Dutch-process cocoa is frequently used in recipes with baking powder, as it doesn’t react to baking soda like natural cocoa does. Many classic American recipes, like Devil’s Food Cake, use natural cocoa powder. (My recipe, which I linked to, can be made with either type of cocoa powder since many people outside the United States can’t get natural cocoa powder so I used both leavenings.) There is also a reaction between natural cocoa powder and baking soda that occurs in recipes, which creates a reddish crumb, like Devil’s Food Cake. There are exceptions to each, of course. And according to Fine Cooking magazine, “You can substitute natural cocoa powder for Dutch-process in most recipes (though not vice versa). 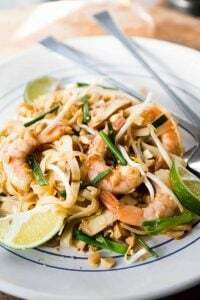 Flavor and texture can be affected, but generally only in recipes calling for 3/4 cup (75g) or more.” However, when a batter-based recipe calls for natural cocoa powder, do not use Dutch-process cocoa powder. But I always advise folks to follow what the recipe says. For sauces and ice creams, they can be swapped out. For cakes and cookies, I don’t recommend it, as your results may not be the same if you make substitutions. Remember: As in any recipe, if you vary ingredients or make substitutions from what is written, results will likely not be the same. If a recipe calls for either, the main difference is that Dutch-process cocoa will give a darker color and a more complex flavor whereas natural cocoa powder tends to be fruitier tasting and lighter in color. Cocoa beans are roasted, then ground to a paste. 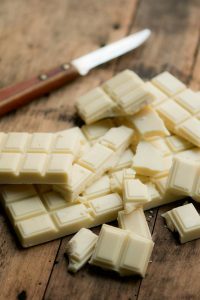 Afterward, the thick paste is pressed between hydraulic plates, which squeezes out about half of the excess cocoa butter. (Cocoa beans are about 50% fat.) What’s left is a hard disk of cocoa powder, which is then grated into a fine powder. Most cocoa powders are between 20-22% fat, which is why most low-fat chocolate desserts call for cocoa powder. What’s the best brand of cocoa powder? I hesitate to give personal recommendations, since my taste may not be exactly the same as yours. Plus, depending on where you live, certain cocoa powders that I use may not be available where you are. 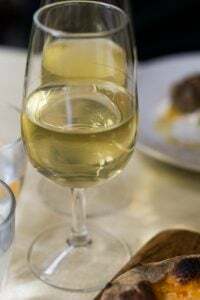 It’s best to find one with a flavor profile that you prefer, according to your personal tastes, and that fits your budget. Color, brand, country of origin, and price are not necessarily barometers of quality. Most European brands (Dutch-process) are quite good and the richest one is Valrhona (see Note, below), which I do single out as a recommended brand, which i find gives desserts and baked goods more flavor and color than other cocoa powders. The best way to figure out which cocoa powder is good is to take a deep sniff; good cocoa powder will have a naturally sweet, but slightly acidic, smell of rough chocolate. You may also wish to try a few cocoa powder-based desserts (see Links, below), to determine which cocoa powder you like. What does it mean to “bloom” cocoa powder? Some recipes call for cocoa powder to be “bloomed” in hot water or another hot liquid, such as coffee. 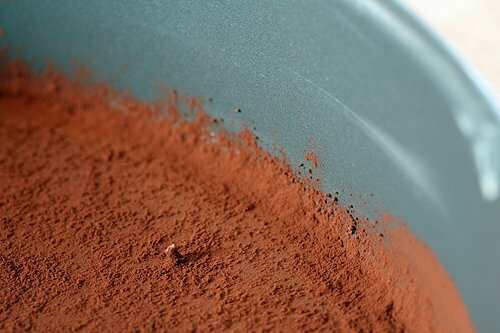 This is done to intensify the flavor of the cocoa powder by releasing flavor particles trapped in the cocoa powder, and helps them “burst forth.” Many recipes, especially cookies, don’t have liquid ingredients, so you wouldn’t use that technique. What is “black” cocoa powder? Black cocoa is cocoa powder that has been heavily Dutched. If you’ve ever had an Oreo cookie, the outer cookies are a good example of black cocoa. Because it has a strong, very brusque flavor, it’s best used in conjunction with another cocoa powder and is mostly used to boost color. King Arthur sells true black cocoa, as does Amazon. Can I substitute ground chocolate for cocoa powder? No. Ground chocolate is finely ground bittersweet or semisweet chocolate, which is mostly used for making hot beverages. It contains sugar and additional cocoa butter, and isn’t the same thing. Pure cocoa powder has no sugar or additional fats added. Can I use sweetened cocoa powder in recipes that call for cocoa powder? Sweetened cocoa powder is a product, like the aforementioned ground chocolate, that’s intended to be used for making hot beverages. Do not use it in recipes that call for cocoa powder. 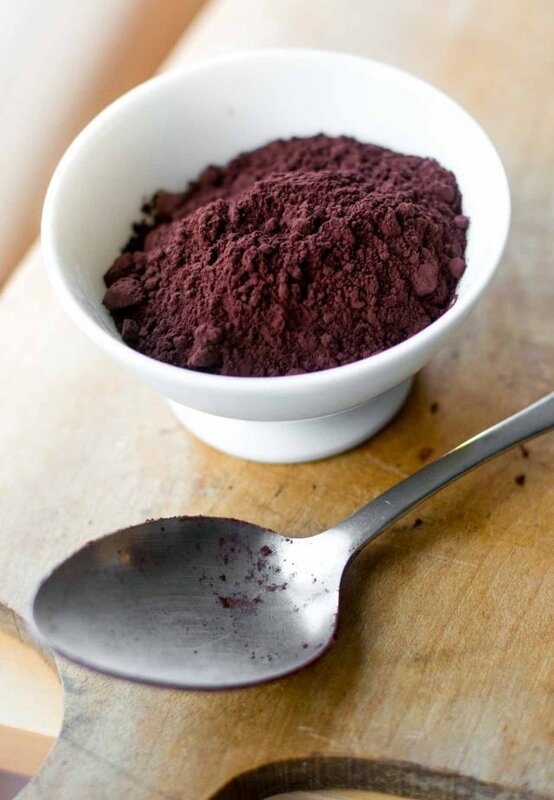 Always check to make sure that when a recipe calls for pure cocoa powder, you’re using unsweetened cocoa powder. Why do some recipes say to sift drying ingredients with cocoa powder in them, and others say to whisk? Because it’s so fine, cocoa powder tends to lump up in the container. So you either need to sift or whisk it well to break up the lumps. It’s also a good idea to disperse the cocoa powder in other dry ingredients in recipes, especially if using a stand mixer, as the fine cocoa powder tends to easily fly out of the mixing bowl when mixing. How do you store cocoa powder, and how long does it last? Cocoa powder should be stored in a cool, dark place, but not in the refrigerator because the humidity can promote spoilage. Because of its low moisture content, cocoa powder will keep up to three years. 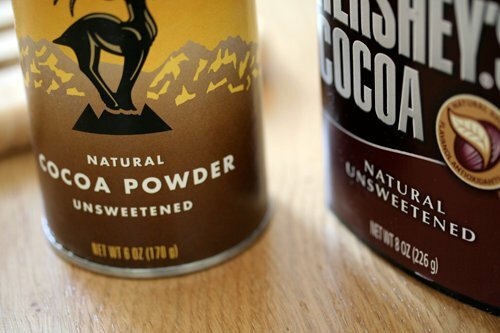 To ensure consumers use the cocoa powder while it’s in its prime, most manufacturer’s list an expiration date on their containers. Can I dust a cake pan with cocoa powder instead of flour? Yes, for chocolate cakes, it’s fine (and sometimes desirable) to dust the pan with cocoa powder as you would use regular wheat flour. This is a good tip also for converting recipes to gluten-free. Simply add a spoonful of cocoa powder to the greased pan, roll it around, shaking the pan to ensure an even layer of powder, then tap out any excess. Note: I generally don’t call for specific brands of products. There are a variety of reasons why I don’t, but mainly it’s because readers live in different parts of the world and may or may not have access to certain products. Plus I don’t want people to scramble for ingredients, or not be able to make recipes. But I do make exceptions if a particular brand makes a noticeable difference. It does cost more than other Dutch-process cocoa powders, but an economical way to obtain it is to purchase a 3kg box, available at Amazon and Chocosphere. It normally comes in 3 separate kilos bags (#2.2 each), so you can split the purchase with other bakers. I wish I had read this yesterday, it would have saved me from my “Special Dark” experiments. Let’s just say, I almost went into some sort of cocoa induced overload. 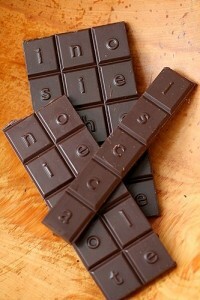 Excellent info… especially since we had a chocolate tasting class at culinary school today! Great minds must have been thinking cacao today it seems! We tried a 90% Valrhona and a 65% today (amongst 15 others) and the 90% won hands down. The 65% version just lacked character in comparison to other chocolates of a similar coco solid content. Will post a blog in a few days about it all, just upped a post about last weeks goings on… as well as a rant about Monkfish wrapped in Parma ham… Why would anyone do this??????? I just came across black cocoa and had never heard of it before. Now I’m all interested to try baking with it. The color is phenomenally dark! What a wonderfully informative post. I have known that differences exist between Dutch process and natural cocoa powder but never fully understood what they were before now. Thank you for the detailed description. I agree that Valrhona chocolate adds an unbeatable level of chocolate flavor to almost anything! Monday is a good day to learn something! (Well, so is every other day.) Thanks!! Great post, thanks for all the wonderful info! Thank you David! I picked up several helpful tips to improve cooking with cocoa powder, notably blooming it and dusting it in the pan. This post also explains why my hot chocolate made with cocoa powder vs. ground chocolate has been so thin. I’m looking forward to richer hot chocolate thanks to you! I love Valrhona not just because of its flavour, but because every time I move to a new country there is always someone selling it. Is there a company that is similar in quality and accessibility for natural cocoa powder? Excellent Primer. I made a variation of your DDL brownies this weekend in part because I had a lovely huge jar of Callebaut Dutch process cocoa powder and most brownie recipes call for natural. Thank you so much for a most informative post. Thank you, David! I’ve always been confused about this, and have tended towards the “close you eyes and think of England” approach and just use whatever’s at hand. Also, I’d never ever heard of black cocoa powder, but as soon as your mentioned Oreos I gained a bit of understanding. Thank you! I thought natural cocoa powder was the un-temepered (un-neutralized) one? whoa, this is awesome. I’m still confused but that’s my issue. For whatever reason I cannot comprehend and remember the differences between dutch and natural cocoa. Hence, I will be bookmarking this for easy reference. Thanks for the info! I just saw whole raw cocoa (cacao?) beans at my neighborhood co-op, and wondered how to use them. Any thoughts? I am very fussy about cocoa and can have trouble sourcing the good, dark stuff here in South Australia, but will try your suggestions. I have also heard of people using ground up cacao nibs – what is your take on this? Many thanks for such an informative post! What a great post David! I have been meaning to look up the difference between Dutch process and non. I’ve made some recipes from Art and Soul of Baking lately that call for Dutch process and used natural because that’s what I had. They still turned out great. I wouldn’t have thought of dusting a pan with it, love that! Thank you for an informative post, David. I wonder what Fry’s cocoa is?? That is just about all we can get at normal grocery store here in Canada – I checked on the can but no info. Great post! I have often wondered the difference in the cocoas. Very nice to see a well laid-out explanation. The search to discovering the best cocoa powder seems like the perfect excuse to make truffles! I’ve also read that if you add cocoa powder to a non chocolate batter or dough to make it chocolate, that you should reduce the flour. Do they have equal thickening power? How much would you increase the sugar in the batter? Is there even a formula? Great info, David. My favorite Dutch cocoa powder is actually from Holland. Droste is the brand. Another familiar brand for me is VanHouten, however I haven’t been able to find it in the US. I had to re-read the above. I’ll read more to clarify. Thanks! Thanks for explaining. I’ve always been curious what the difference was between Dutch-process and natural, and I’m sure I’ve used them interchangeably. Now I know better. Amanda: I use nibs a lot in recipes. Including the recent post and recipe for chocolate-hazelnut spread. kitty: They are excellent roasted and dipped in caramel. Then dipped in chocolate. I don’t know how to use them raw, but there are people in the raw food movement that likely have some ideas and you can perhaps find recipes online. Tuty: A lot of the European cocoa powders do come and go in the states, and can be easy to find at one point, then disappear the next. Which is why it’s hard to specify certain brands as well. Much likely has to do with the exchange rate, taxes, and customs, I suppose. ChefDylan: A chocolate tasting? Sounds like a great curriculum! 100% chocolate can be tasted, but it’s best mushed around your mouth, rather than chewed on. Chewing somehow releases the bitter components, although some brands of unsweetened chocolate are naturally tamer than others. Mitch & Frank: Yes, I meant ‘hasn’t’, which I mentioned in the previous paragraphs. My server went on strike yesterday–or went down for no apparent reason, which was also precisely the time I was trying to publish this post, and also the exact same time my web designer wanted to tweak my site : ( I amended that to be in concordance. Thanks~! Sam: I’ve always wondered if there was natural cocoa powder in Europe. I’m wondering if Puerto Cacao carries it, or it’s available in natural food stores? Their site was down, so I couldn’t check. Must be a trend! David, Thank you so much. This is very informational. The Valrhona is so very good. Worth every penny if you ask me. I love this post. I was feeling a bit sketchy about some of these details, all except Valrhona, that is. I am not a chocoaddict, but when pondering desserts for clients I know chocolate never loses. @kitty – you can use raw cacao beans in blender smoothies. Try a small handful (like, 15 beans), thrown in with a bag of fresh or frozen blueberries, one or two fully ripe bananas and 2 tbs honey. Add 1cup of almond milk or milk of choice and blend until creamy. 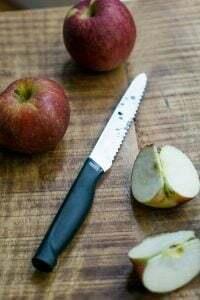 You can also break them into nibs by crushing them with a rolling pin between two tea towels and using them in recipes like Alice Medrich’s Buckwheat Butter Cookies with cacao nibs. These cookies are ridiculous. So good. There is, however, some controversy as to whether cacao beans are really that healthy. They are known to make depression worse, but if you’re healthy and only have them occasionally, should be ok.
Judith: In Italy, you have that Pernigotti cocoa powder. It’s hard to find outside of Italy (ChefShop sells it through Amazon in the states), but I’ve never seen it here in France. It’s supposedly quite good; Alice Medrich told me she likes using it a lot, which is a pretty good recommendation. hey david , thanks for that!! 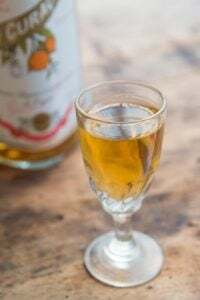 keep reading it but keep forgettin it as well =) hence bookmaking it for the next time the recipe calls for dutch or natural. also , we dont get vahlrona freely here, my current stash is from vahlrona and its almost over… they sell this german brand here ( Dubai) called HINTZ , any idea how good or bad it is? and whether its dutch or natural? cause they dont tell on the cover. it looks pretty dark to me though. I’ll definitely be looking out for Valrhona cocoa powder too. I’m not ashamed to admit that I adore Oreos, most especially because of the outer cookies’ dark, burnt flavor. And thanks to you I now know that black cocoa is the culprit. What an excellent tutorial! I see some black cocoa experiments in my future! @Tuty @ Scentofspice: me too, I love Droste and Vanhouten! I never tried Valrhona powder, but I did try some of their chocolates, and they are so good they seriously made me reconsider my dislike for white chocolate. 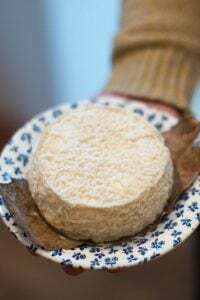 And actually @Judith in Umbria: you can find those brands in Italy as well, in well stocked supermarket, and I personally prefer them to the Pernigotti one, which is good but has a taste a bit different. Personal opinion though.. Thanks for the post, it was so interesting. I never tasted neither natural cocoa powder , nor the super black one! I can’t wait to – looks like I am going to use some of the links you provided pretty soon. What an interesting post! First time I actually heard that there’s two different kinds of cocoa powder.. I’m wondering about a special raw food – cocoa powder that I just bought. Maybe that could be used to substitute natural cocoa powder since we don’t have it here? At least the colour is similarly light brown. I only use European cocoa powder – it contains more cocoa butter than the US ones, and for that the quality is better. That is also the reason for having the darker color. Well, for the fat it contains, it is not that easy to use in recipes, but the taste you will get from it is worth it. Excellent information to the point. Thank you!!!! Interesting! But if Dutching makes the cocoa darker, isn’t it the cocoa on the right in the photo? thank you both for the advice! now i will buy some, and will think about the warning about their bad health vibe. We are fortunate in the U.S., especially in urban areas, to have access to many different products and cocoa powders are no exception. Since I usually do what I’m told in recipes, I have used both dutch process and natural but never really understood the difference between them. Now I do. Thanks, David! I recently returned to the states from a trip to the tropics. We procured some fresh cacao fruit, and proceeded to dig out the seed, scrape the “fruit” off the seeds and roast them in a frying pan over a hot plate. Two fruits provided about 1-1/2 cups of beans. The fruit had a pleasant citrusy flavor, not at all like chocolate. But the whole room smelled like chocolate when we “roasted” the beans. Now we have these beans and I’m not sure how to use them. If they are 50% fat, I don’t want to just grind them in my coffee grinder, though I could. I have a small question: some people say that if you add the cocoa to the butter/cream mix when making a cake, it will be darker….is this really true?? Valrhona is one of my favorites too- delicious. Thank you for a very helpful article, David. As Nick mentioned earlier, here in Canada the most commonly available cocoa powder is Fry’s (made by Cadbury). I’m guessing that it is natural, as it is fairly light in colour, much like your photo of natural cocoa powder. I see that there are two ingredients in the Fry’s: cocoa and sodium carbonate. Is that common with cocoa powder? Hmm. Maybe it’s not natural, but I’m pretty sure it isn’t Dutch process. Leah: Yes, I would say that the presence of sodium carbonate means your cocoa powder is Dutched. For confirmation, you could probably check the website for the company, but sodium carbonate is an alkalizing ingredient. Mary: I’ve not heard that, although as mentioned in the post, blooming cocoa in hot liquid can make the flavors come out. I find if you mix it with the creamed butter/sugar, much of it flies out of the bowl when you mix it! davidsl: Although cocoa beans are high-fat, you could likely grind them in your coffee grinder or mini food processor. It take a bit of time for them to liquify. Make sure they’re not warm when you grind them, and pulse the machine rather than leaning on the “on” switch. Lisa: Yes, those Oreos are a result of black cocoa. Since you live in New York City, they might have some at NY Cake , and you can pick up a bag to play around with. Bet it’d go well in some of your mole! Hooray! Now I can show this to my husband and maybe he’ll stop making fun of me for bringing home 3 kilos of Valrhona cocoa powder! Silly that I never thought to look for it online. But I just found a site that corroborates your opinion. Fry’s is indeed Dutch process. I’m glad to know for sure–and thankful for the chance to ask an expert. Your site and insight are wonderful resources! Thank you, David-I’ve always been confused about the difference between Dutch processed and natural. Or maybe I’m just confused in general. HA! 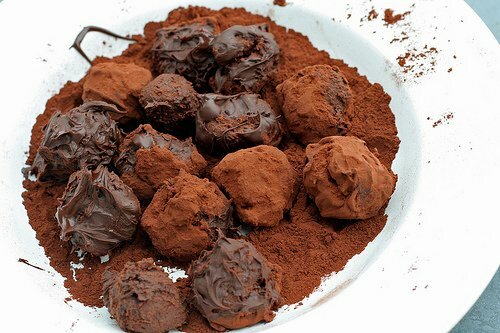 Your truffles look delicious by the way. Will you share the recipe with us? I just bought a chocolate thermometer and that would be a great way to get started! I was recently in the UK and bought some Green & Black natural cocoa powder at a natural foods store. Surprisingly, it was the only cocoa powder I could find in the entire town I was in. 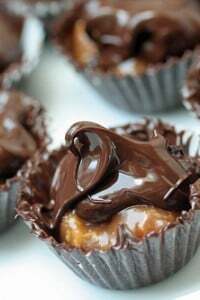 I find that I prefer Dutch cocoa for things like hot chocolate and natural cocoa powder in baked things, where the acidity cuts through the fat and makes the flavors more discernible once the product is out of the oven. Good post, David. I love the Dutched cocoa. I have only used Callebaut bars in baking, have never seen Valrhona, sadly but do use the Hershey’s Special Dark with good results. Haley: Yes, Black & White cocoa powder is Dutched because a lot of people prefer Dutch-process cocoa powder, especially in Europe where the recipes don’t use baking soda. Laura: That recipe is from my book, Ready for Dessert (pg 220), with detailed instructions for dipping and rolling…in either kind of cocoa powder. Very interesting insight into an ingredient so dear to many peoples hearts. Thanks, once again for your clear, helpful explanations. Related, I think…I have to deal with the dearth of unsweetened chocolate in my neck of the European woods and when my supplies of Scharffen Berger, and Ghirardelli run out, resort to the 3tbs cocoa, 1tbs butter trick. Apart from the issue of butter vs. cocoa butter, should I also be checking whether the recipe lists soda or baking powder? What a great, well-explained discourse on cocoa powder. Fantastic job. Just one question – where’s the recipe for those delectable looking truffles? 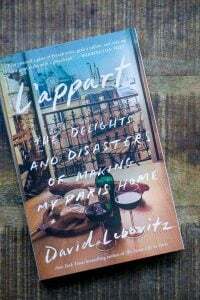 I’m having a great afternoon reading your ” The Sweet Life in Paris.” I just read about your observation on how French people tend to leave food out that really should be kept in the fridge. I have lived in Paris since October, and that was one of the first things I noticed, and it surprised me. Then something hit me, maybe that’s how the French stay so thin. Bad food can give you an upset stomach, an upset stomach can empty your system, and voilà you’ve lost a couple of pounds. How funny–and great–to see this post. I just realized how much dutch cocoa powder I had stocked up on and still not used this weekend, and made my first attempt to make a dent into it by baking your Sweet Life in Paris financiers recipe (which admittedly didn’t have too much of an impact on my reserves, but which was delicious nonetheless). Any thoughts on how long these powders keep — I’m hoping the shelf life is fairly good given lack of fat, etc., if properly stored. And yes, it’s a travesty, I know. I’ll have to experiment when I make my next hot cocoa and sit down to read :) Thanks! Thoughtful and precise post, David – thank you so much for sharing this with us! I had the good fortune of testing a few of Alice Medrich’s cookies for her next book and she gave me some pretty good exposure to natural versus Dutched cocoa, and I am grateful for the information. Your post just reinforced it, and I’m printing it now so I can laminate it and keep it handy for those moments when I get confused. As for black cocoa, I’ve been wondering what the stuff is but hadn’t an excuse to compare it side-by-side with other cocoa. Maybe this calls for an experiment – a simple shortbread comparison, perhaps? Not being much of a baker, I love reading and learning things like this–Thank you! @Nick: I believe that Fry’s is natural cocoa powder. I’d say it looks more like the samples on the left in the pairs of photos above. (I’ve compared Fry’s at home to both Scharffen Berger (oh, Scharffen Berger…! ), which is natural, and Droste, which is alkalized (Dutch). Droste is available in Canada (in the nation’s capital, anyway) but mostly in specialty or gourmet shops. The first time I ever heard of black cocoa was from Nancy Silverton’s Sandwich Book (Homemade Oreos for dessert, for an all-sandwich menu); I think she lists some sources for tracking it down, including, of course, King Arthur Flour. Great post, David! Merci mille fois! Pernigotti is also available at Williams Sonoma. lovely stuff. Usually I get the Van Houten or buy organic fairtrade, which is the only natural cocoa you can buy in these parts. I recently came across two types of organic cocoa powder in Germany, one was lightly defatted and the other highly defatted. I don’t know why I chose the one that had more fat in it, probably out of curiosity because usually cocoa powder is highly defatted. Haven’t used it yet so can’t report any findings! For some reason I had been having a hard time finding Dutch process at the usual places. Then last Spring, after my mom passed away, my sister and I started cleaning out her pantry. Lo and behold at least 6 containers of various Dutch process cocoas. Apparently we have been buying it almost every year at Passover when we would go to her house to do some of the baking which always includes some type of flourless chocolate cake (plus the sponge cakes and mandel breads and our outrageous strawberry trifle with liqueur-soaked sponge cake and oodles of whipped cream). Hey we’re cooking for 25 people per night for 2 nights, and we aim to please! I think I have a lifetime supply of DP cocoa now. Thanks for the great info, David! I’ve been wondering many of these things for a long time now. David, you mentioned that most recipes that call for natural cocoa uses baking soda. I’ve tried recipe that does that, but I found that it made my natural cocoa taste like Dutch-processed cocoa… Can i just use baking powder instead? Nice tip about using the powder to line a pan! And thanks for a very informative post. Could you comment on Raw Cacao powder versus regular natural cocoa powder? I just picked some up at a health food store b/c of its super food claims (higher anit-oxidants, source of phytonutruents, etc.) along with some cacao nibs (that I used in your banana bread/cake recipe – simply divine!). The package claims that you can substitute it for regular cocoa powder in baking but I noticed that it only has 9% fat vs. 20-22%. Would this adversely affect the end product? Jung: I’ve not used raw cocoa powder so can’t advise. I would say that it’s likely true that you can just substitute it 1:1 for regular cocoa powder, as in a recipe, the minor different in fat content would be negligible. There is fat-free cocoa, which they say you can swap out for regular cocoa powder. So yours, with a bit more fat, should be fine to use. I appreciate this post so much David. The information you give is very helpful! Thank you for the great information. I had wondered what the difference was in cocoa powders, but never took the time to learn about it. Now I know! Thank you for making a clear post about the differences that wasn’t written by a spice company. I will be referring folks to this post when I get asked this question. Green and Black’s cocoa powder is Dutched, according to their website. I love your cocoa tutorial, however the real reason I am emailing you is, I made your fabulous lime tart with the melted butter crust. The crust was perfection with the right amount of crunch and the tart was firm and tangy. Your directions and technique tips were simple. Thank you David! Well, for health conscious, there may be one more difference between these and that is flavonoids level. Although it may not be so important to many people, it looks like natural, unprocessed cocoa has more flavonoids preserved. 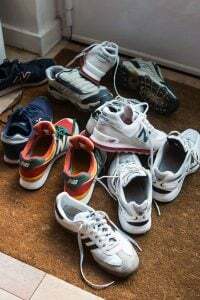 Anyway these may help, according to some, with fighting against certain health conditions. I guess just slightly even if that’s true. I am an American currently living in the UK, and I was hoping this thread would enlighten me as to why every kind of cocoa I have tried (that is available in the UK) causes my chocolate cookie recipe to basically melt rather than hold together. The original recipe uses Hershey’s Cocoa, so I had been looking for Dutch Processed cocoa. From reading this it seems that Hershey’s is not actually Dutch Processed though. It took me ages, narrowing down every ingredient that was different in the UK versus the US recipe. First I thought it was the fat (butter) and tried all sorts including irish butter, stork etc etc., but when all my other recipes got sorted out with the right fat, my chocolate ones did not. The last time I was in the states I brought back a tin of Hershey’s cocoa powder and when I made the recipe in the UK using that, they were perfection. It would be lovely to find out what I can use that gives the same end result as the hershey’s powder so I don’t have to worry about what I will do if I run out before my next trip to the U.S! Thank you for this post. I live in a part of the world where cocoa powders are not marked as “dutch processed” or natural. Now I can tell which is which. Thanks! Thank you for informative post! I got to know so much about cocoa powder. The place where i live doesnt specify a cocoa powder as natural or dutch-processed.. Is there a way to test (other than color check) whether a cocoa powder is dutch or not? Any suggestions? After reading the February 24 by Sandy, I got worried that Fry’s was natural cocoa powder. But after researching other websites, I’m confident that Fry’s is Dutch-process cocoa. The important thing to keep in mind, is that it contains both cocoa powder and sodium carbonate, which is what differentiates it from natural cocoa powder. It’s lighter color is irrelevant.